Now I have got around to hanging some art on your walls, this takes me a little longer than the “normal human” because I am a self confessed art snob wanting pieces that are completely unique and insisting on creating everything myself. 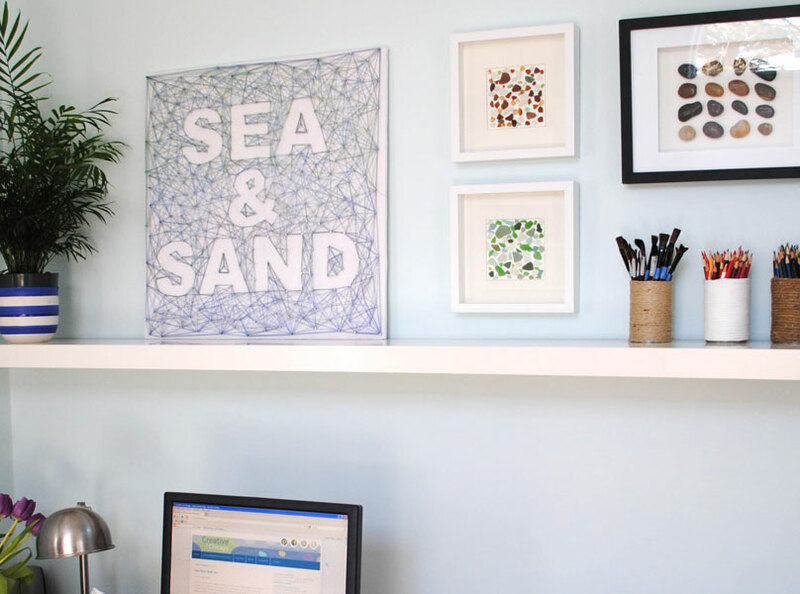 I got handy,dandy with the drill and installed an Ikea Lack shelf then came my creations, the Sea and Sand string art (it was destined for the St Louis town house but I just love it here! 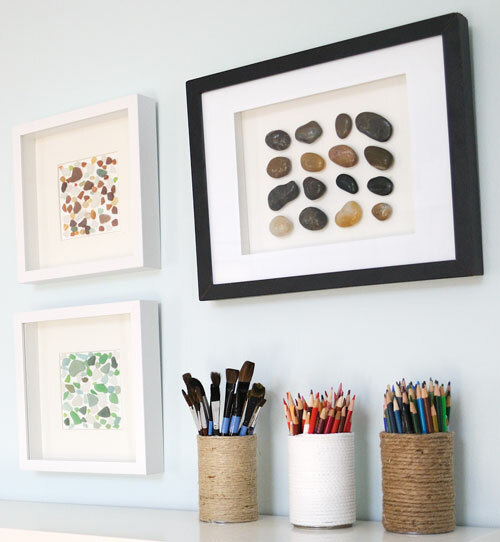 ), some gorgeous sea glass, a box frame of simple polished pebbles and some rope vases for some arty supplies. And lets take a little flash back in time to see what was. This entry was posted in Coastal Crafts, Coastal Decor, Home Decor, Room Makeovers, The Power of paint, Wall Art, Windows. Bookmark the permalink. Thanks so much for the link! I, too, love rocks! My father was a geologist, so we knew our way around a sedimentary, igenous, or metamorphic rock! Cool, that rocks! (ha ha) I don't really know much about rocks at all… but that does not stop me enjoying them. You have such an artistic eye. 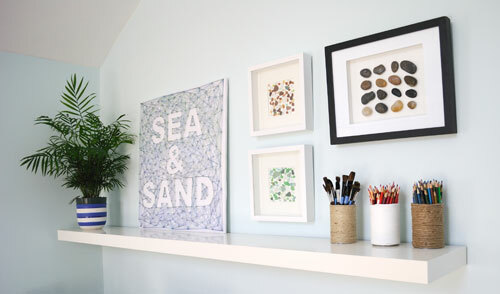 The white space in your art and framing is such an important part of the look – one that I usually forget. Your pencil holders – are those just soup cans? – love them. 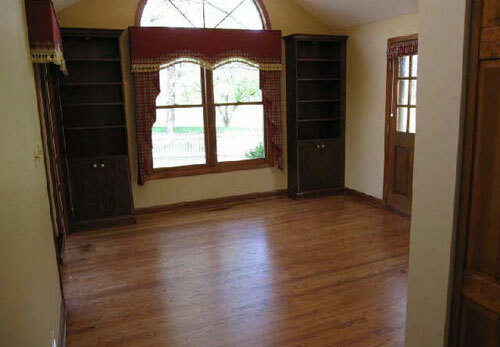 Great texture, inexpensive, upcycled, and FUN! I love the framed rock collection, I pinned it, I think it would be the perfect project to do with my daughter who is a "collector" (just a nice word for "hoarder"). I'm now following you, so happy I found you on Addicted to Decorating link party. What a neat idea! My hubby is always picking up strange rocks & I had no idea what to do with them! I just keeping throwing them in a jar!